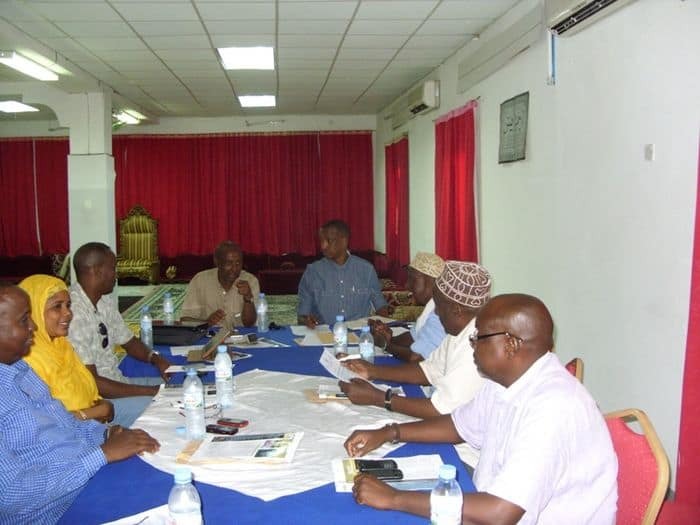 Members of the Somali National Olympic committee executive board have lauded for the successful implementation of the NOC’s 2013 first quarter annual work plans during its monthly meeting held at the NOC headquarters in Mogadishu Thursday. The meeting which was the second of its kind since the new NOC members were elected in early January this year was mainly intended to review the annual plans of the year and in particular what has so far been achieved in terms of local and international activities. Somali NOC secretary General Duran Ahmed Farah who talked to the media at the end of the hours-long meeting explained that Somali NOC was very proud of the huge job that has so far been achieved in and outside the country including the strengthening of international relations. “The executive board meeting has understood and fully lauded for the implementation of the NOC’s 2013 first quarter work plans in particularly the successful establishments of regional offices and the expansion of activities across the country,” Secretary General Duran Ahmed Farah told the media here in Mogadishu Thursday. 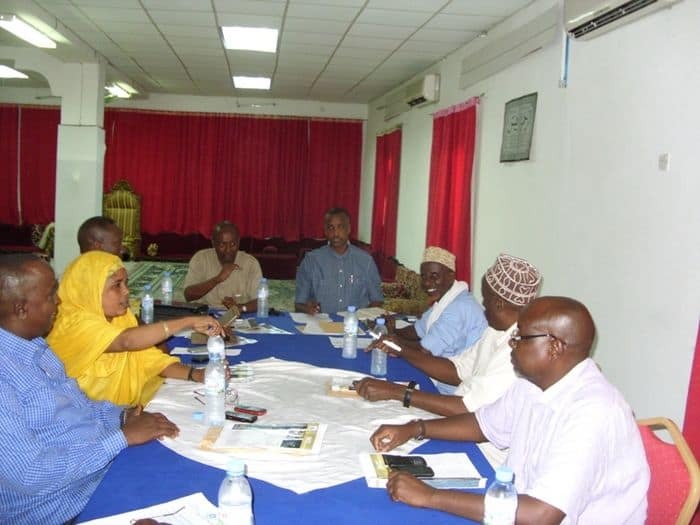 He noted that the executive board meeting also discussed the affiliation forms which the Somali NOC secretariat asked its member federations and associations to complete and send them back to it which he said were mostly accomplished as required. 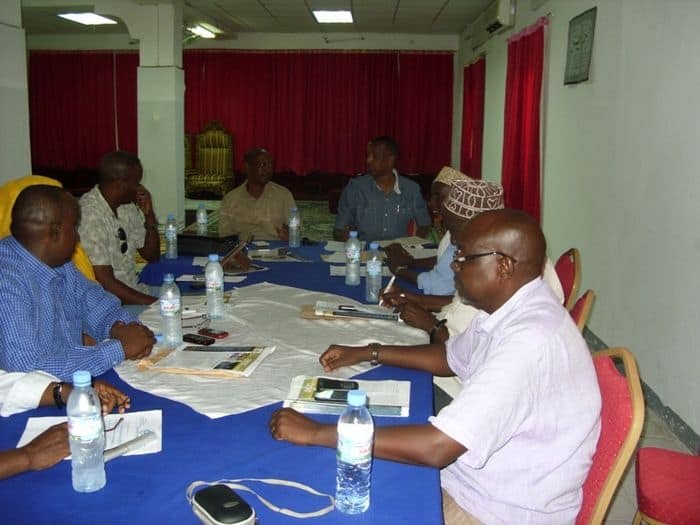 “All forms are currently back into the hands of the secretariat, but there is only one federation which has not yet resent the forms and the executive board decided to send an ultimate warning to that federation who will miss its membership within the NOC if it doesn’t resend the forms before the second deadlines ends,” Secretary General Duran Ahmed Farah told the media. 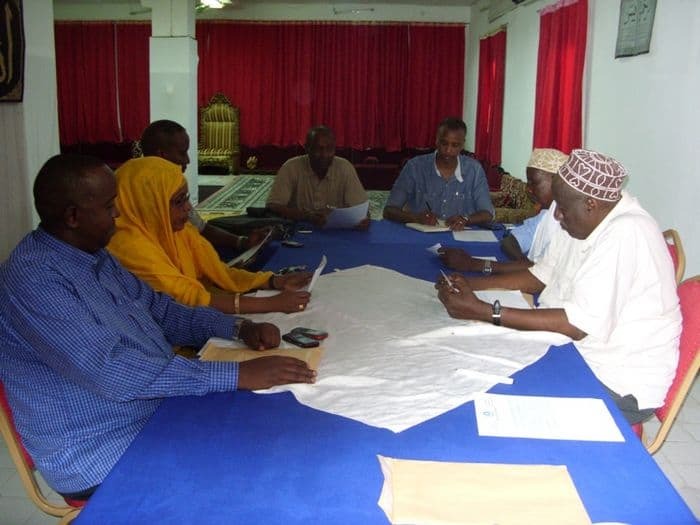 Somali NOC secretariat has praised the member federations and associations which complied with the previous deadline and resent the complete forms on time and urged the unmentioned member federation not to miss the second deadline. Another important agenda of the executive board meeting was the need to reform and strengthen the work by the NOC member players’ association. “The executive board has asked all affiliated federations to appoint individuals who have university level education and have full experience in sport who will represent all federations in the next players’ association-we are very hopeful to have the players’ association in place in the soonest time possible,” Somali NOC secretary General Duran Ahmed Farah told the media.